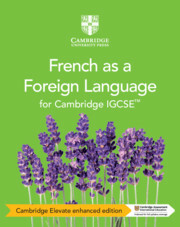 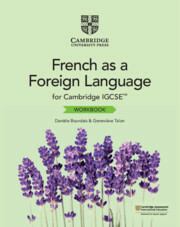 A flexible suite of skills-based resources providing full coverage of the Cambridge IGCSE™ (0520), IGCSE (9-1) (7156) and O Level (3015) French as a Foreign Language syllabuses for examination 2021. 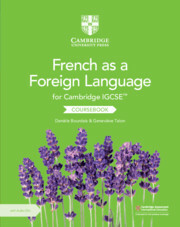 Written by practising teachers, this suite includes a coursebook with 2 audio CDs, a Cambridge Elevate enhanced edition (also available as a bundle with the print coursebook), a teacher's resource with Cambridge Elevate and a workbook. 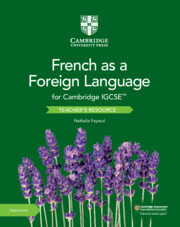 With an international approach, these resources encourage intercultural awareness with a focus on French as a world language. 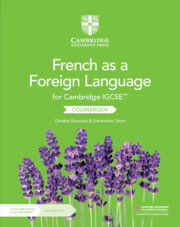 Engaging activities, specifically created to stimulate learning, help develop language skills and support students through the course.